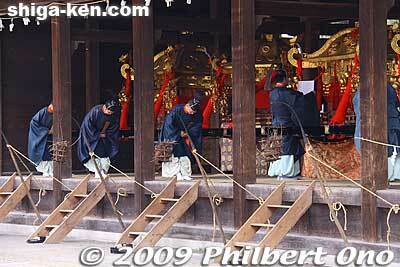 The tea is offered to each of the four mikoshi which had been brought down from Mt. Hachioji the night before. The tea is said to bring safe childbirths.